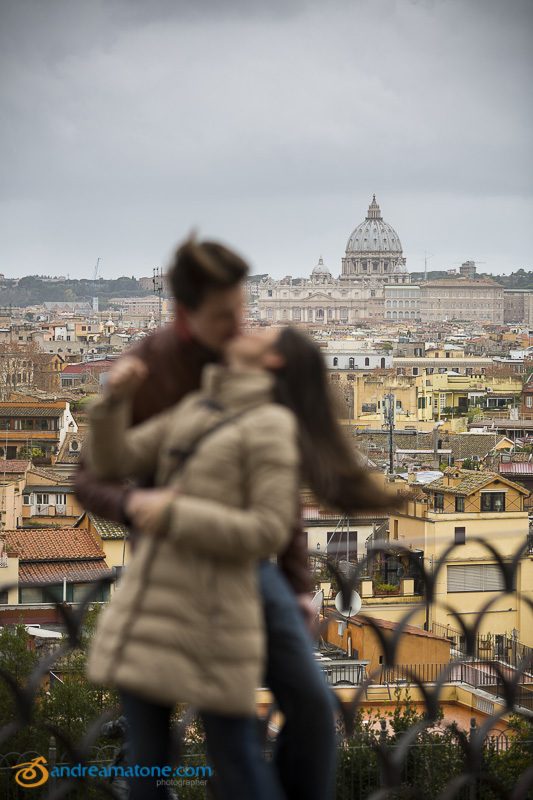 The location we choose was Parco del Pincio in Rome Italy. 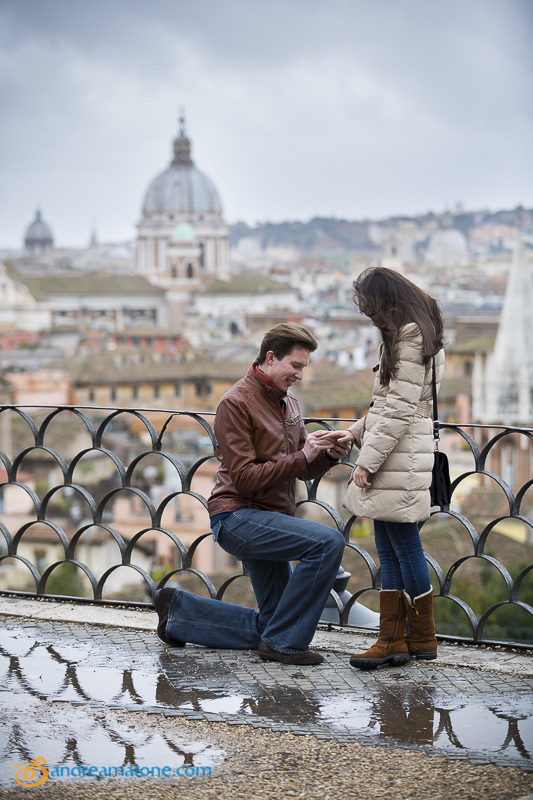 The surprise proposal was to take place overlooking the city from above. Unfortunately that morning it was raining. This can complicate things a bit. But not in this case. We decided to go ahead with it. So I had to be extra careful my photography equipment didn’t get wet. But it went ok and it wasn’t in the end so wet. Actually it looks like it came out great! I picked the right spot just before our couple arrived. I was checking for the right angle and taking into consideration the size of the water puddles in the ground! Having exchanged our picture beforehand we easily recognized each other. Well there weren’t so many people around this time so it was easy. Then I led to the spot I had in mind and got ready. Was a joyful surprise! Capturing real candid moments exactly as they unrolled. We then followed with some engagement pictures with rain here and there. 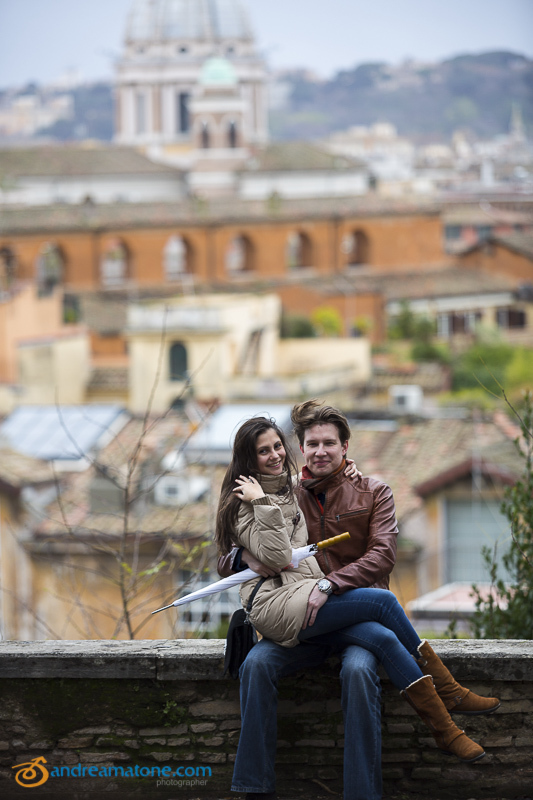 We moved from Parco del Pincio on over to the nearby Piazza di Spagna and the Spanish steps. We also took some in between photos as we walked over. 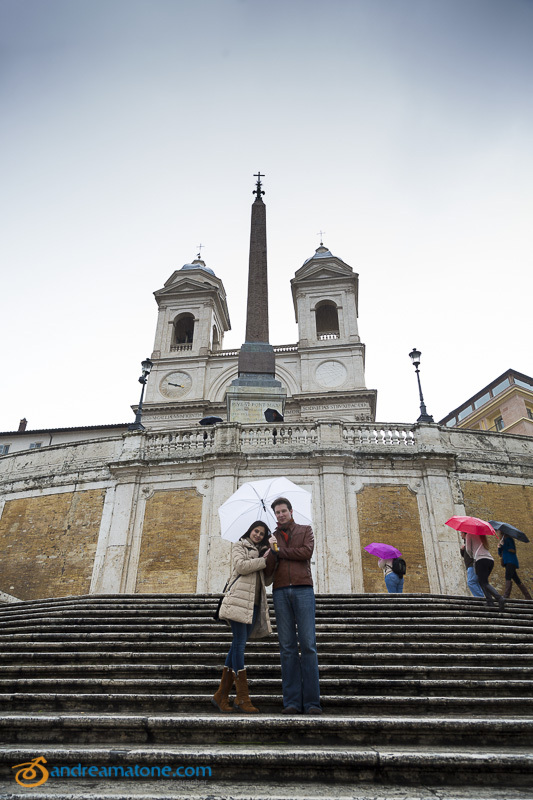 We began with the top of the Spanish steps underneath the Church Trinita’ dei Monti. Then we moved our way below to the water fountain and into Via Condotti. The main fashion district area in the center of Rome. And that’s where we stopped. Hey, congratulations to you both! Want to know more? More on the Surprise Wedding Proposal photography page. 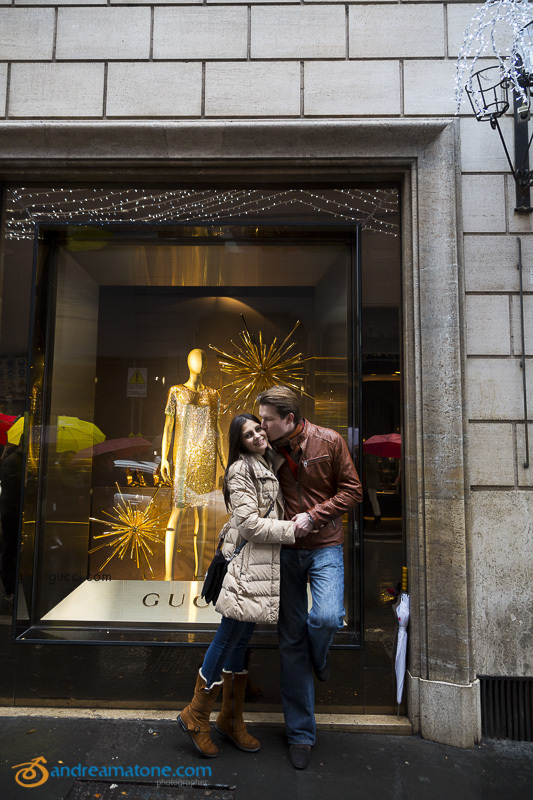 For the Gucci store on Via Condotti instead! Candid and spontaneous secret proposal at Parco del Pincio. 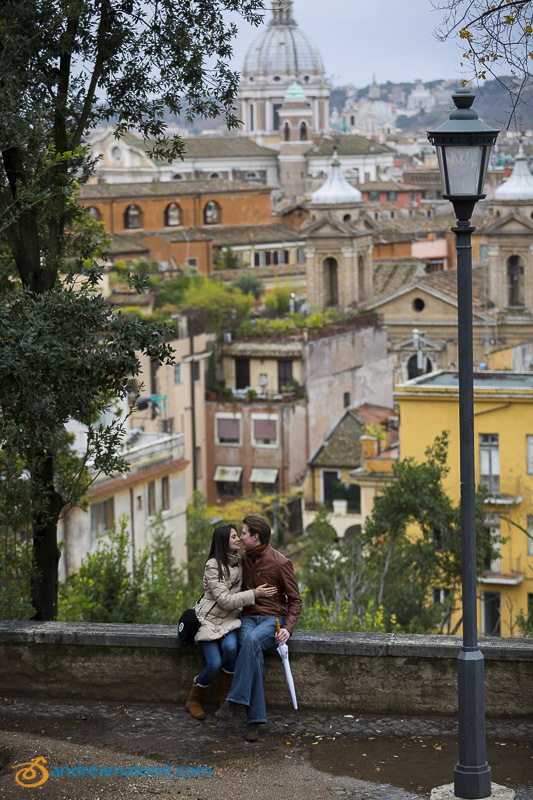 Followed by a romantic and evocative engagement session in Italy. Photographed by Andrea Matone.